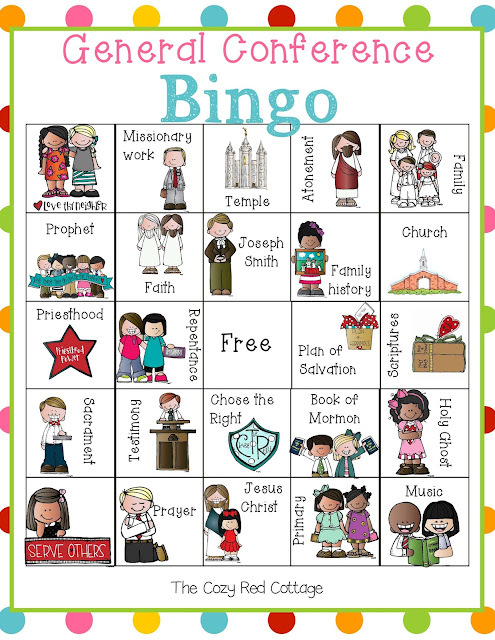 I've updated my General Conference Bingo so there are now 12 playing cards available. You can find the FREE download below. Cover the space when the word is mentioned in General Conference OR use the calling cards included in the download to play the regular way over and over again! Print the boards and optional calling cards (cardstock recommended). You can find the original post here. All graphics are from the amazing Melonheadz's Graphics and Fonts are from Hello Literacy. Watch for more Conference ideas this week and some of our old favorites updated. Hello! I'm trying to download it, but it says that there is a problem loading the pages.